Most people find jobs. 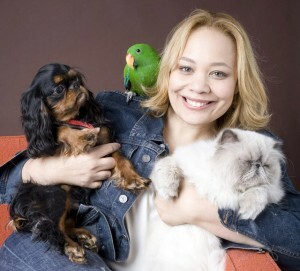 Charlotte Reed ’86 invented a career as a pet trends entrepreneur. For the past two decades, she has dispensed advice about caring for dogs and cats on a host of national television shows, including The View, Steve Harvey, Today, and Fox & Friends. She has tracked pet trends for Dog Fancy and Cat Fancy magazines, written columns and blogs, and can be heard regularly giving pet tips on 25 radio stations around the country. 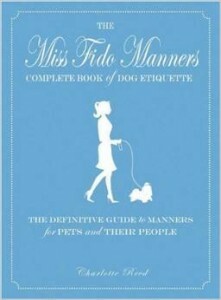 Her book The Miss Fido Manners Complete Book of Dog Etiquette: The Definitive Guide to Manners for Pets and Their People teaches pet owners how to be good citizens, to use what Reed calls “petiquette” with their companions. 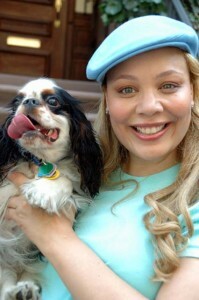 Reed’s reputation has made her a natural spokeswoman for products geared toward pets and pet owners. Clients as diverse as GM and Dyson have hired Reed to talk about the best cars for dogs and which vacuums are most efficient for picking up pet hair. “I’m the CEO of a brand,” she says. In fact, Google the word petrendologist, which means pet trends expert, and listings about Reed fill the screen. The reason? She coined the word. After graduating with a history and international affairs degree and earning a J.D. from Fordham University Law School, Reed took a job as a securities lawyer in New York City. Although she had always wanted to be a lawyer, a random episode tapped into her entrepreneurial streak. She arrived home one day in the mid-1990s to find the dog walker for her two cocker spaniels, Katie and Kidder, trying on her clothes. Reed started hearing from other pet owners who had poor experiences with dog walkers and decided to quit her job and set up her own pet care business, Two Dogs & A Goat (the goat is a reference to herself, she’s a Capricorn). She took grooming and training classes as well as veterinary technician courses. Her company grew rapidly and began attracting celebrity clients, including media mogul Barry Diller and the late composer Marvin Hamlisch. In order to better promote her business, Reed hired a publicist and started to market herself for interviews on pet care to television and radio stations, as well as to print publications. The first TV show she did was Good Day New York. After that, Reed could be found on numerous broadcasts, especially morning shows, giving tips for how viewers could have better relationships with their cats and dogs, information on care, and money saving advice on products. Reed developed her business at the right time. Americans are marrying later, having fewer children, and having them later in life. They have more time and money to spend on their pets and to create a pet-friendly lifestyle. The American Pet Products Association says Americans spent $55.7 billion on their pets in 2013. The National Retail Federation predicted people would spend $350 million on Halloween costumes for their pets in 2014. Reed recalls seeing a couple in their early 60s pushing a stroller on the Riverwalk in Bradenton, Fla. In the stroller was a very well-groomed shih tzu. “If you had asked this man five or ten years ago, ‘Can you imagine yourself pushing a stroller with a dog in it,’ he’d probably laugh in your face,” Reed says. After living in New York City for decades, Reed moved in 2013 to Sarasota, Fla., to be with her boyfriend, veterinarian Dr. Michael Fleck. She met Fleck after calling him for advice on pet sunscreen for a TV segment. They ended up talking for two hours. Now they conduct TV and radio interviews together. Thank you so much Lafayette College and Margie Peterson for writing such a wonderful profile about me and my work. I am always grateful for the education that I received at such a wonderful educational institution. Go Pards!